The officer is the best ally of Death: few have seen him. But even less survived after that. Harlequin is a nightmare in reality: behind the flowery outfit and insane smile lies the soul of a ruthless killer. 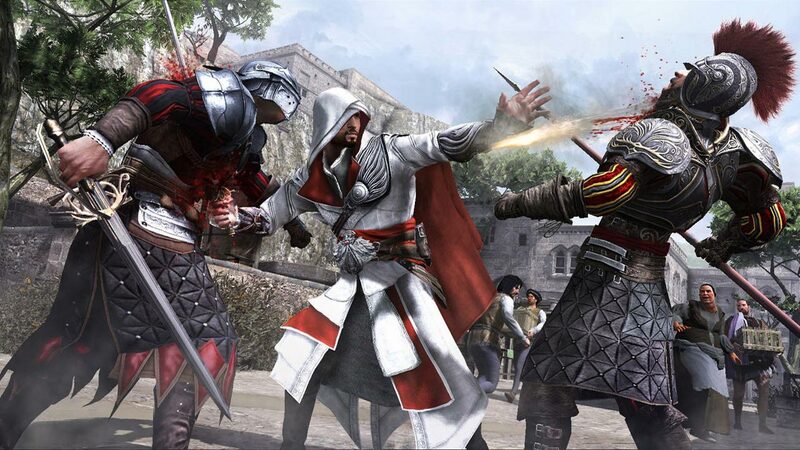 Live and breathe, like Ezio, the legendary Assassin master fighting against the Templars. He must get to Italy’s largest city, Rome, the center of power, greed and corruption, where he will strike right into the heart of the enemy. 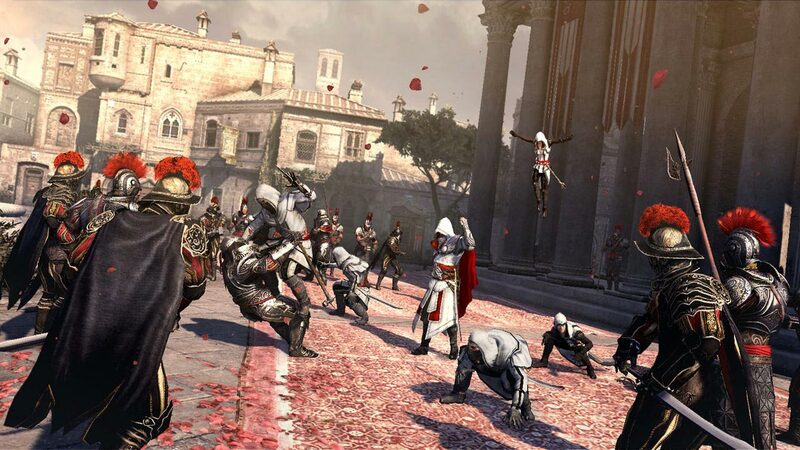 To defeat the corrupt tyrants who settled there, we need not only the strength, but also the leadership qualities that Ezio has, going to battle with the Brotherhood of Assassins. For the first time in a series of games, the award-winning multiplayer has already been introduced. 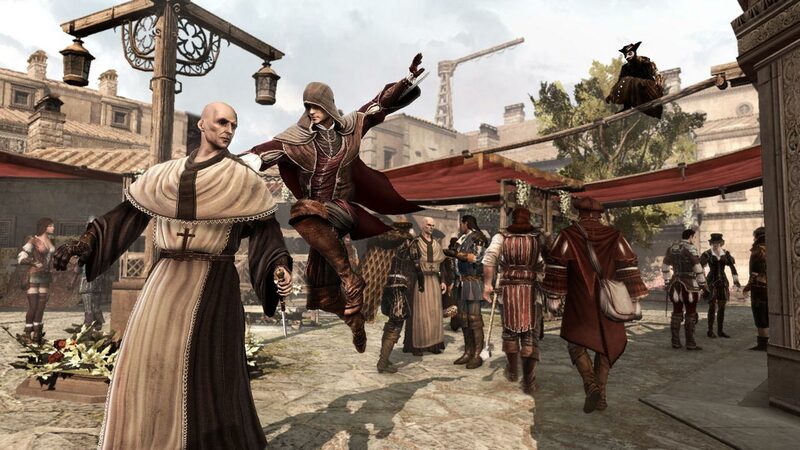 • BE A LEGEND: control Ezio, the legendary Assassin, in a new adventure that will take you more than 15 hours. • HEAD AND MANAGE LEGENDARY BROTHERHOOD: build and customize your guild. Train and raise the level of combat skills of your fighters to help you on your travels. • USE SECRET WEAPON: liquidate your enemies using tools such as poison darts, parachutes, double hidden blades, a hidden pistol and an advanced aircraft. • CONQUER THE HEART OF THE CITY: Use your hard earned money to rebuild a half-ruined city. Rally citizens to your nature and unlock new factions and missions. • MULTI-USER GAME: a wide selection of characters with unique tools and murder techniques. 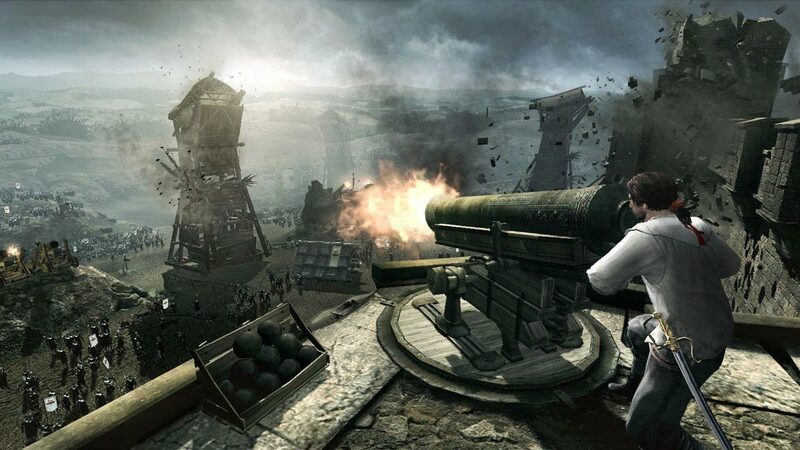 With detailed maps and a wide selection of game modes, you will never have two identical battles. 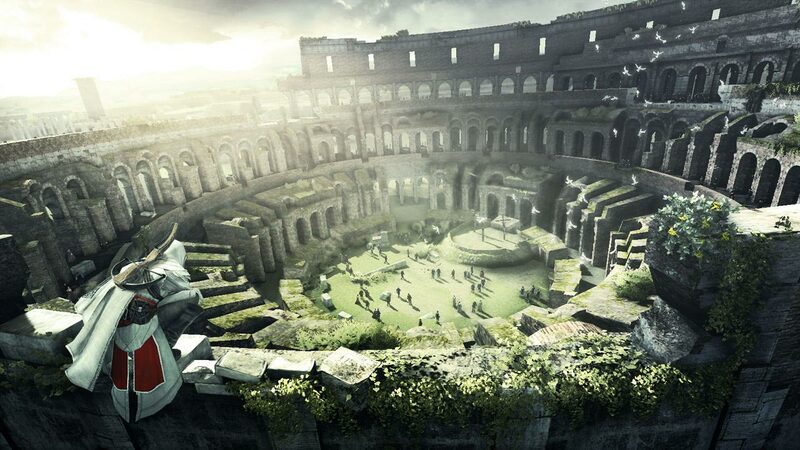 To survive on the dangerous narrow streets and the multi-layered architecture of the Mont-Saint-Michel card, and to fight in the Advanced Alliance multiplayer mode, the Abssergo recruits need to use their tracking and freering skills. The Pienza Card is equipped with an excellent free-run area, where hunters and targets can easily mingle with the crowd and disappear. In the new multiplayer mode "Capture the chests," players are divided into two teams of three people, one of which is trying to capture the chests, the second protects them. 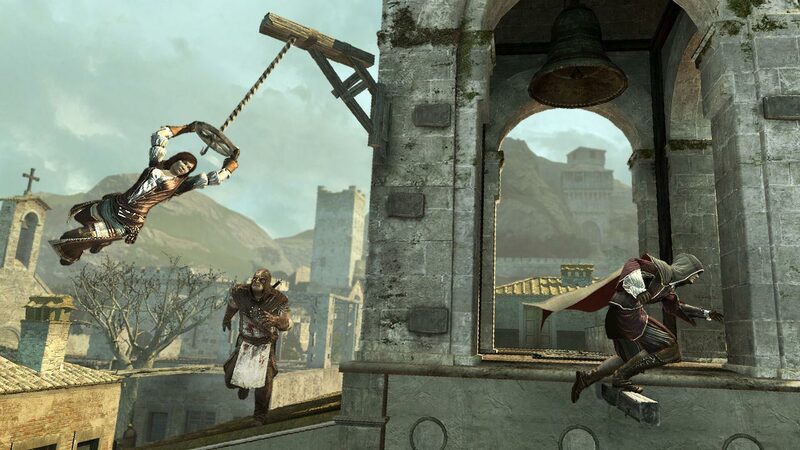 After the fall of Borgia, Leonardo da Vinci is kidnapped, and Ezio begins a relentless search to bring his friend back. The biggest addition to the award-winning multiplayer multiplayer game, it includes a new map, new characters and new game modes.